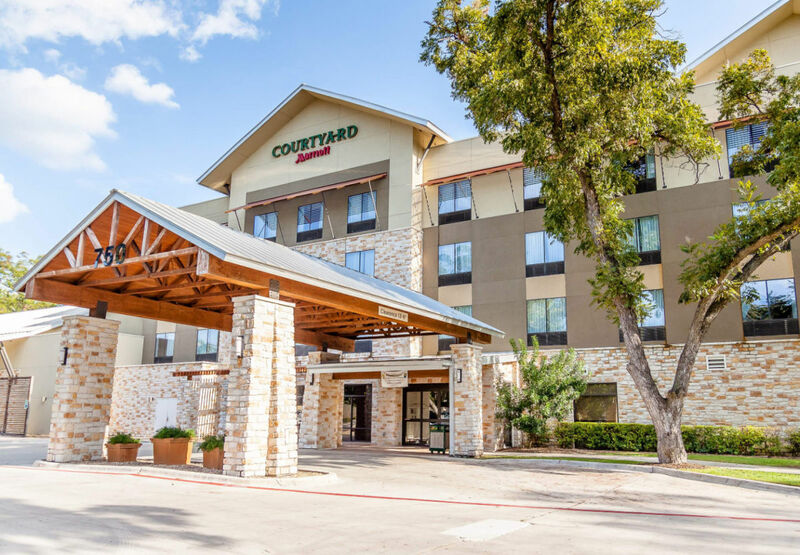 Overlooking the Guadalupe River and surrounded by century-old pecan trees, Courtyard New Braunfels River Village provides the ideal backdrop for travelers looking to get reacquainted with the beautiful outdoors. Make yourself at home in our stylish guest rooms and suites with vibrant décor and free Wi-Fi. Select rooms offer private balconies with inspiring views. 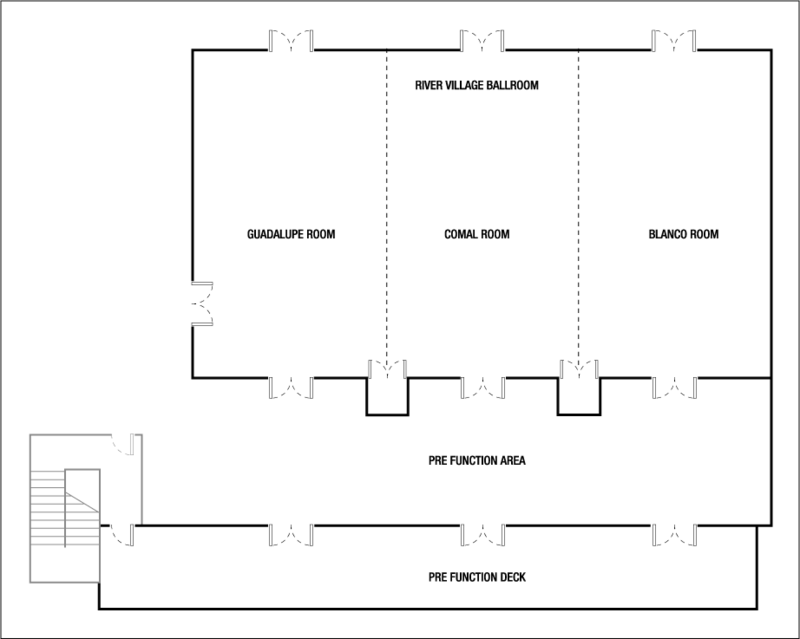 Each of our accommodations also features an ergonomic workspace, perfect for staying productive. Start your morning off right with a hearty breakfast sandwich and Starbucks® beverage from The Bistro, then return in the evening for dinner and cocktails. During downtime, work up a sweat in our fitness center and go for a dip in our sparkling outdoor pool while enjoying views of lush green landscaping and the river. When it's time to explore the area, rent a tube and float down the Guadalupe River, or head underground for an exciting tour of Natural Bridge Caverns. 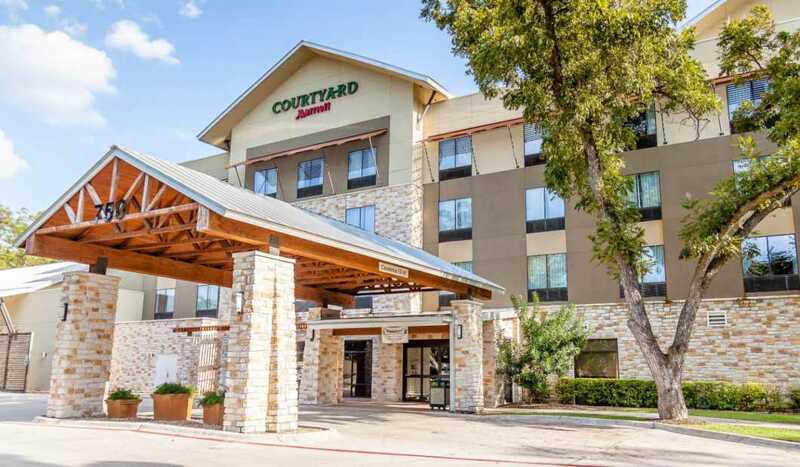 We look forward to your visit at Courtyard New Braunfels River Village. Description: Collaborate with colleagues in one of our modern meeting rooms. Our team can help organize your business conference or convention near Gruene. Showcase your successful presentation in our event spaces with available AV equipment. Gather up to 250 people in our River Village Ballroom for your company celebration.